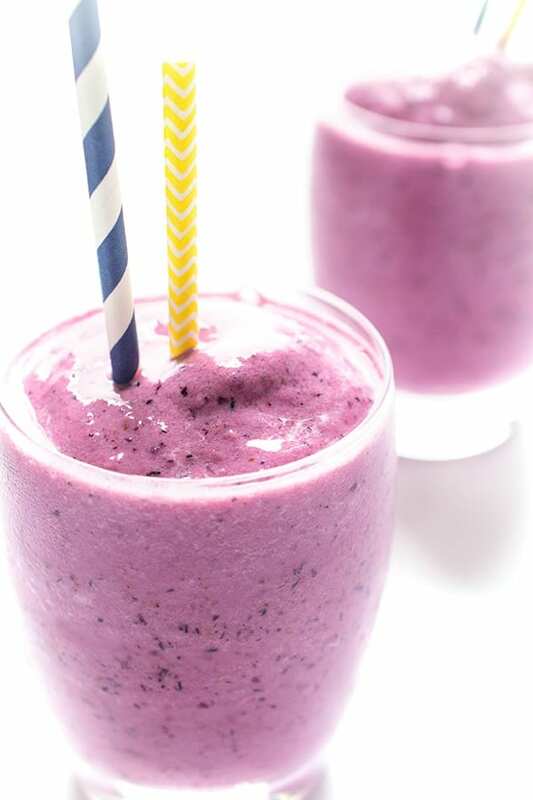 This fresh and fruity smoothie is a scented with fresh ginger, the perfect balance to the sweet berries. Strawberry season is in full swing and I am thrilled. 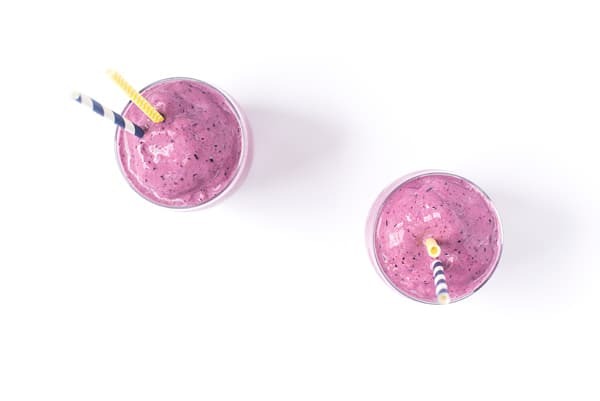 Seasonal fruit is key to healthy and delicious smoothies because they are naturally sweet and full of flavor. When you’re using produce at the peak of it’s flavor, there is no need to add sugar, honey or even agave. No added sugar means less calories consumed. Additionally, you don’t have to worry about how many rats exactly got cancer from saccharin or how much testing has been done on aspartame. Does fruit have sugar? Of course. 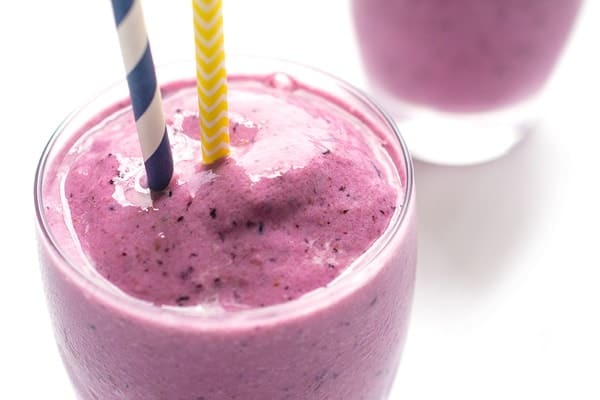 But relying on fruit for sweetness means you will also get all of the antioxidants, fiber and other nutrients not found in white sugar or corn syrup. 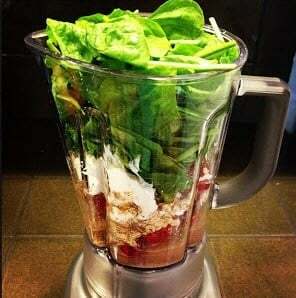 Puree all ingredients in a high speed blender until smooth. Enjoy! 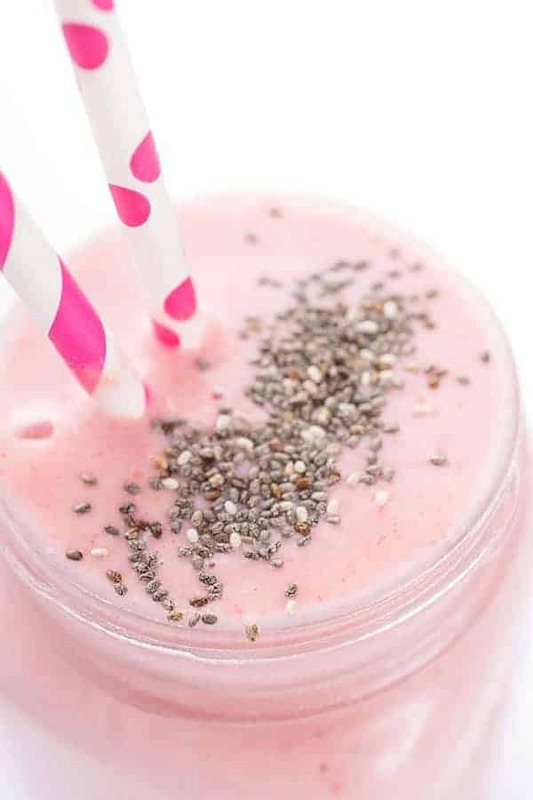 What protein powder do you prefer to use? I love Bob’s Red Mill! https://amzn.to/2GXATr2 Enjoy! 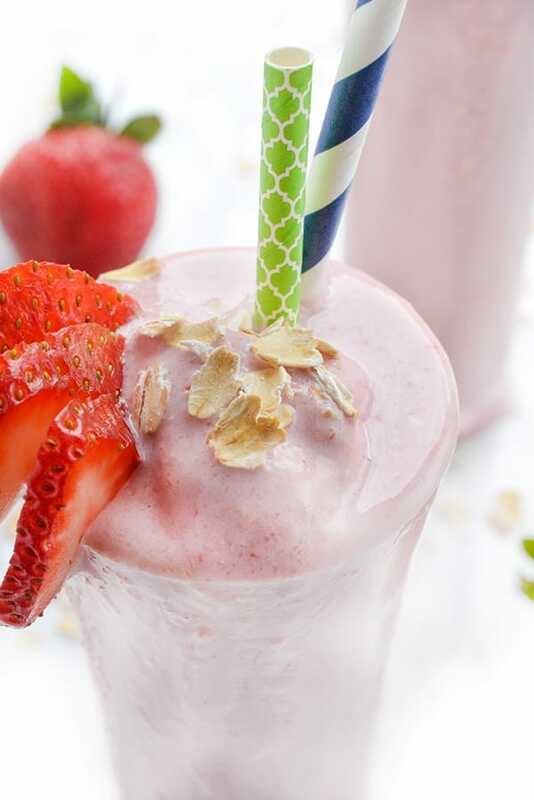 Great kid smoothie recipe. I like the use of ginger. I use so much ginger! I do low carb and trying to loose lbs, It to e stevia instead of honey to sweeten…ok?